Wanting to find an interesting district in Mandurah? Halls Head can be found 6 kilometres southwest of the city's central area. Those searching for some free recommendations should definitely make Mandurah Visitor Centre a priority. If you'd like to rest your head close by, consider the rates at the Seashells Mandurah and Dolphin Quay Apartments. Journey back into the past and unearth the accounts of those who came before us at Mandurah Community Museum. 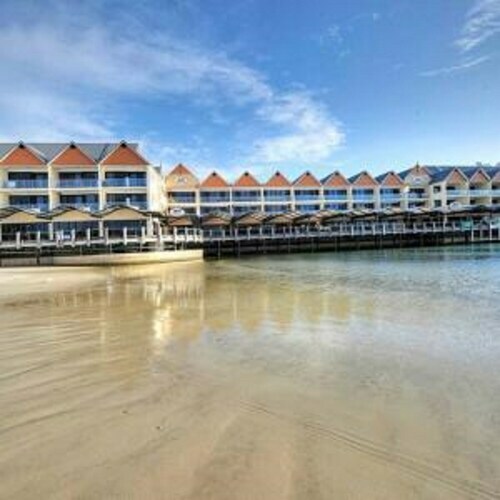 For this spot, check out the Mandurah Family Resort and The Sebel Mandurah. Calling in to Han's Cafe is a terrific way to jumpstart your day in Halls Head. Just follow the smell of freshly roasted coffee beans! If coffee and a snack isn't going to cut it, go and take a look at the impressive menu at Mandurah Quay Resort. Everyone will find something to their liking at this popular diner. If you're after a couple of beers before calling it a night, why not pull up a stool at Peninsula Bar and Restaurant? Who knows, the bartender may even be able to give you some tips on what to see tomorrow! Demand for rooms in Halls Head sometimes exceeds supply. But don't get your knickers in a knot! You'll find a number of awesome places in nearby neighbourhoods in the Mandurah hotels guide and the Wotif Silver Sands hotels guide. 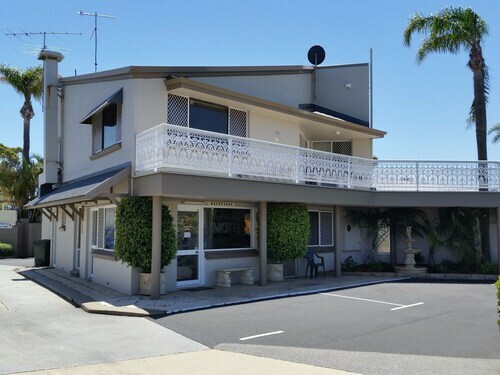 Mandurah is home to the Mandurah Motel and Apartments and Atrium Resort Hotel, while in Silver Sands you can check out the amenities and latest deals at the Silver Sands Resort and Mandurah Discount Apartment at Silver Sands Resort. From accommodation in Halls Head to car hire, activities and flights, Wotif has got you covered! How Much is a Hotel Room in Halls Head? Hotels in Halls Head start at AU$135 per night. Prices and availability subject to change. Additional terms may apply. Very convenient location and great service from friendly staff.